PS: Mehndi/mehandhi is henna paste filled into a conical tube which is used to make intricate designs in the hands and feet of women and sometimes (especially during marriage) men. Such henna paste is made by drying henna leaves and crushing them into powder. 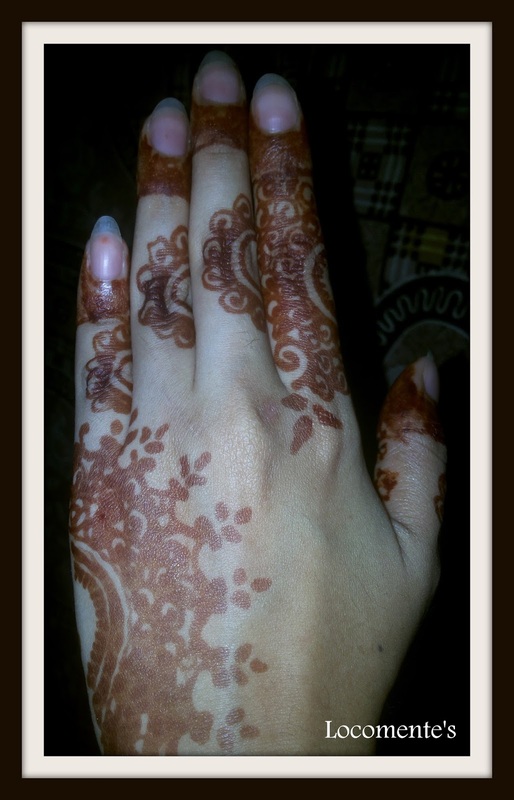 Mehndi designs can be broadly classified as Arabic designs, Indian designs and Pakistani designs. Beautiful design! Look nice on your hand! 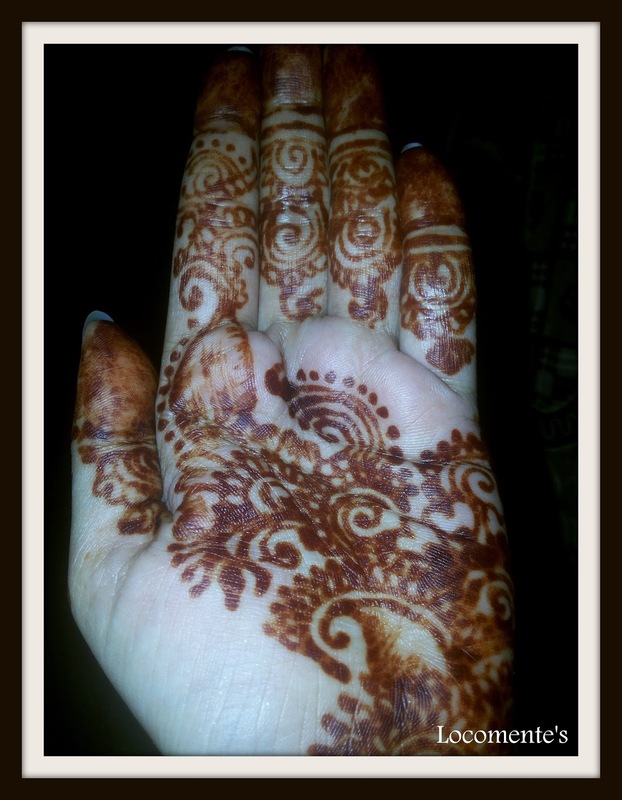 That feeling when mehendi gets dark on your hand - elation! Beautiful design. It is beautiful,...may I ask how long it lasts! It lasts about 3-7 days. Beautiful! Is it drawn from a homemade paste? No, I bought the cone for shop.